Irving Guyer lived a full artistic life, working for the WPA in the ‘30s, mounting solo shows in New York in the ‘60s, and experimenting in San Francisco in the ‘70s and ‘80s. In the latter part of his career, living in the Sierra Foothills, and with diminishing eyesight, he produced some of his strongest work. Stripped of excess, it explores the border between nature and abstraction. 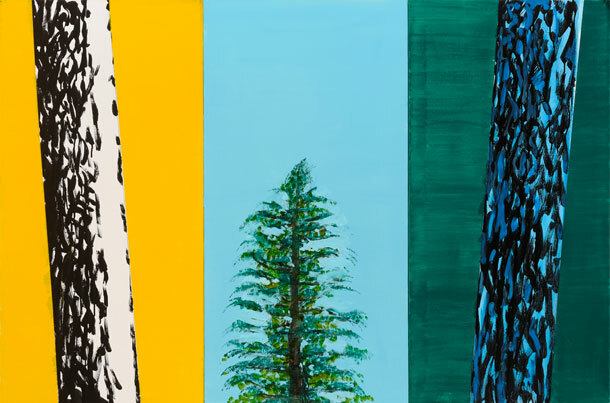 We worked closely with his family to bring together a collection of bold, colorful and dynamic paintings that demonstrate the vibrancy of his spirit, the skills he honed throughout an inquisitive and productive life, and an enduring legacy left in art. Presented in collaboration with KunstWorks. Thursday, May 4, 2017 | 6 - 8 p.m.
Help us celebrate Irving Guyer and his work with an evening of great art, good conversation, and delicious food and wine. Join his friends, family and fans along with our team for this very special night and discover the artist, his art and his legacy. Irving Guyer was an American painter born in Philadelphia, Pennsylvania in 1916. While successful in New York through the 1960s, Guyer chose to work away from the New York gallery scene for much of his career. 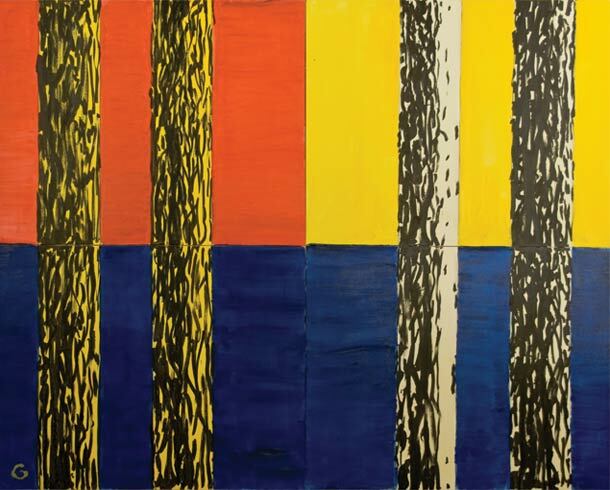 In the last decades of his life, he developed increasingly innovative, formally sophisticated work, combining masterful landscape and color field painting with geometric abstraction. Guyer, the son of Jewish immingrants from Poland and Russia, grew up in New York City and studied at the Arts Students League (1934-1937), the National Academy of Design (1933-1934) and the City College of New York (1932-1933). As a young artist of 23, he was awarded the first prize for painting at the 1939 World's Fair. From 1938-1939, he was employed by the Works Project Administration / Federal Art Project as a painter and printmaker. His prints from this period are held in several major public collections including the Metropolitan Museum of Art and the Smithsonian American Art Museum. Guyer married Betty Rubenstein in 1942 and, after being discharged from the Army in 1945, chose to pursue a career in commercial art to support his family. For the next thirty years or so, he worked in New York City for a number of advertising studios, including his own (with partners), while continuing to paint. In the 1960s Guyer was represented by the Paula Insel Gallery in New York. His paintings of this period employed both abstraction and figuration, often in combination. While this work was clearly part of the New York School, he resisted the call to adhere to a singular style in order to pursue his interest in artistic experimentation, a pursuit that lasted the rest of his life. After three successful solo shows, Guyer left the Insel Gallery to work on his painting free from the pressure of the art market. In 1975 Guyer and his wife moved to San Francisco and his work changed significantly. Guyer was profoundly affected by a major exhibition of Matisse cut-outs at the National Gallery of Art in 1977. 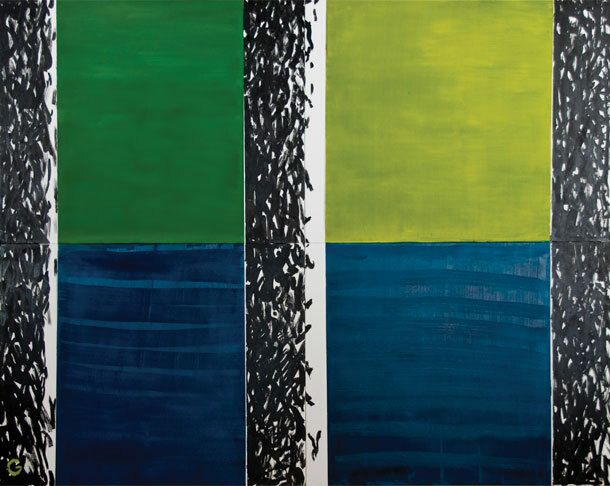 For the next several years his paintings juxtaposed simplified opaque shapes in a series of dynamic abstracted Pacific Coast landscapes, which were shown in a number of venues in the San Francisco Bay Area, including Stanford University. In 1985, after retiring from the practice of commercial art, Guyer and his wife moved to Nevada City, in the Sierra Foothills of California, where he continued to paint. His primary subject matter became the Northern California landscape and light. 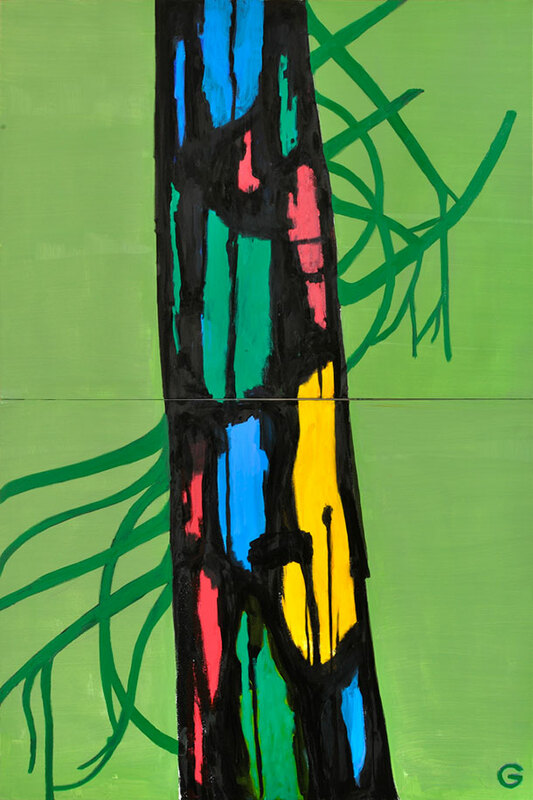 His late work is increasingly abstract and simplified – a distillation of a lifetime of seeing, thinking, and painting. 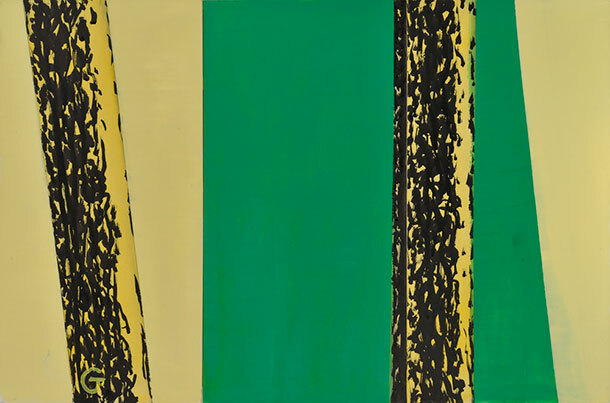 Although his eyesight was compromised by macular degeneration in his late eighties, Guyer continued painting with great energy until just a few days before his death at age 95. 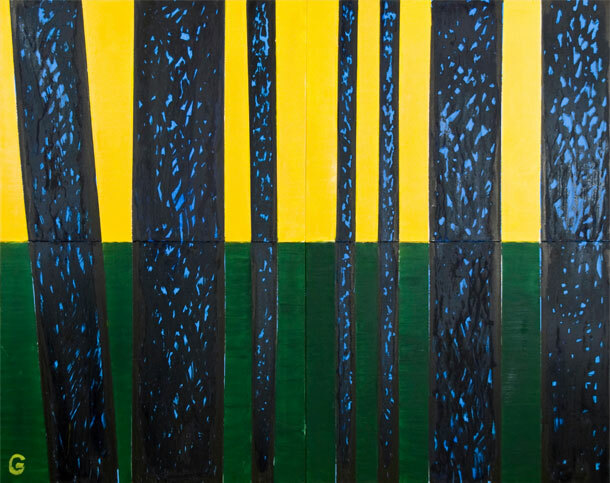 He considered these late works, including “Cloud Series” and “Pinetum Series”, to be the strongest of his long career.